I thought this photo of my friend Olivier Piffaudat was perfect for today’s Super Quote Sunday. Olivier is a pastry chef and chocolatier who demonstrates his tremendous passion for, and interest in, what he does with every tasty treat he makes. 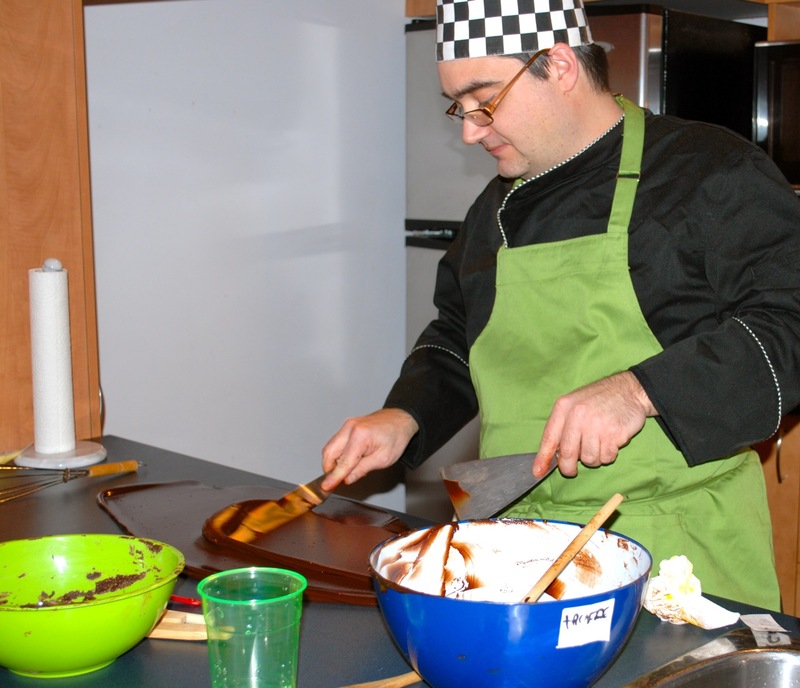 He is constantly experimenting with new flavours, trying new ingredients and creating something new for his business: Olivier Piffaudat Chocolatier Alchimiste. We should all be as engaged in what we do. Disclosure: While this post may read a bit like a sponsored review, Olivier has no idea I am writing this post. I am simply showing admiration for a friends’ passion in his work. ← Should You Become A Manager? He is inspirational indeed! I admire people who put that much dedication into their passions. I love that quote by Julia Child — she definitely lived that quote. One of my favorite films was Julie & Julia because of Julia’s tenacity and passion. It’s so inspirational.